The Planning and Zoning Department is responsible for the growth and change in the community establishing and updating such policies and management tools as the Subdivision Regulations, the Zoning Ordinance, and the Comprehensive Plan. The department is also responsible for the review of subdivision plats, zone change requests, annexations, vacation of streets and alleys, housing and community development. The Inspection Department is responsible for the issuance of building, plumbing, electrical, and all other construction related permits. The department enforces local zoning, building, electrical and plumbing ordinances and the flood plain regulations. The department makes all required inspections for construction and reviews, examines architectural and structural plans for residences, commercial buildings, and other structures for approval and issuance of permits. Karla was born in Minneapolis, Minnesota. She began working for the City of Webster City in 1985. Karla is married and, during her spare time, she enjoys spending time with her family and grandchildren. 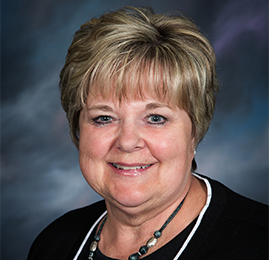 Karla also serves on the Chamber of Commerce Board of Directors and the Heart of Iowa Housing Trust Fund Board of Directors.